Here’s my advert for a Nutritionist in the Cheltonian Magazine – January 2015. Thanks to the lovely Sali Green from www.iwork4uglos.co.uk for adding me as a Nutritionist Cheltenham to her column in the January edition of the Cheltonian Magazine. Nutritionist Cheltenham – Here’s what is says about me! Kirsty Terry is a Nutritionist and Energy Medicine Practitioner in Cheltenham with a specialist interest in Integrative and Functional medicine. Her passion is to help empower her clients to take control of their health and well-being naturally. 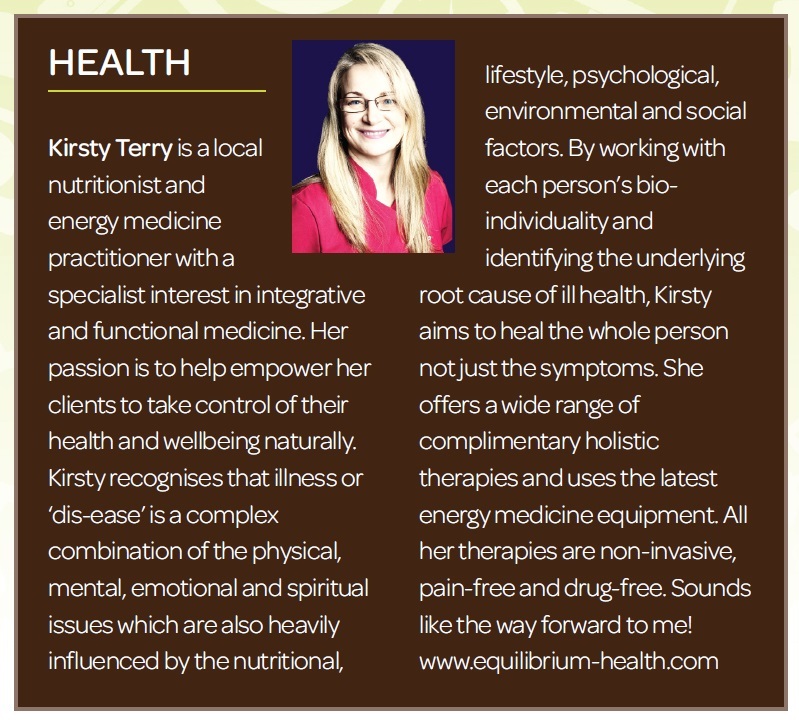 Kirsty recognises that illness or ‘dis-ease’ is a complex combination of the physical, mental, emotional and spiritual issues which are also heavily influenced by the nutritional, lifestyle, psychological, environmental and social factors. By working with each person’s bio-individuality and identifying the underlying root cause of ill health she aims to heal the ‘whole’ person not just the symptoms. She offers a wide range of complimentary holistic therapies and uses the latest energy medicine equipment. All her therapies are non-invasive, pain-free and drug-free. Sounds like the way forward to me!